The CAPC staff is comprised of a full-time executive director, administrative assistant, victim’s advocate, and an outpatient therapist. Other staff includes a part-time licensed practical nurse and a community outreach and volunteer coordinator. Adrienne holds a Bachelor of Social Work (BSW) degree from Appalachian State University. She has ten years of experience working with Children’s Advocacy Centers. Adrienne has served as the Victims Advocate and Multidisciplinary Team facilitator since September 2007. She is also an Instructor and Facilitator for Darkness to Light’s Stewards of Children sexual abuse prevention program. Dakota joined the CAPC in January 2018. She holds an Associates in Arts Degree in Pre-Business from Cleveland Community College. Dakota has a variety of office and bookkeeping experiences including small businesses, public service, and church administration. 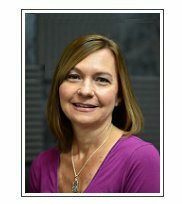 Karen is a Licensed Psychological Associate, earning a Master’s Degree in Clinical Psychology from Appalachian State University in 1993. 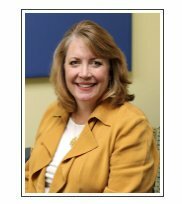 She has 22 years experience working in mental health centers across North Carolina providing therapeutic services to children, adolescents and adults. Throughout her career, she has worked with sexual abuse issues and has experience working with victims, families and perpetrators. This experience allows a unique perspective and understanding of sexual abuse dynamics. Karen joined the CAPC in September 2008, providing on-site treatment services to victims and their families. 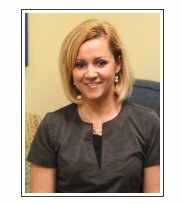 She is trained in evidenced-based clinical practices and is committed to assisting children and families through the healing process. Kimberly holds an Associate of Applied Science Degree in Healthcare Management, a Diploma in Practical Nursing and a Bachelor of Science Degree in Health Promotion. She joined the CAPC in 2008. 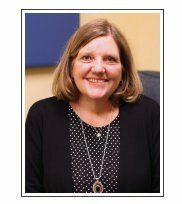 Her combined knowledge of the healthcare administrative and clinical aspects enables her to provide the best possible services to the families served through the CAPC. Connie joined the CAPC in January 2017. She holds a bachelor of arts in sociology and Christian education from Lenoir-Rhyne University. She volunteers with Safe Harbor Rescue Mission, where she mentors and works with women in the Scents of Hope program. She serves as outreach coordinator for the women’s ministry at Corinth Reformed Church of Hickory. She has tutored at-risk children at area schools and served as a mentor for a Habitat for Humanity family. She is a member of the Service League of Hickory, where she has served as secretary and as scholarship committee chair. 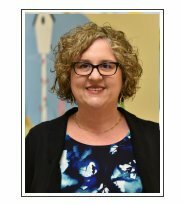 Melissa holds a Bachelor of Social Work (BSW) degree from Concord University and has twelve years of experience working with children and families. For the eight years prior to becoming the Victim Advocate Melissa worked in Child Protective Services, as both a Forensic Investigator and a Forensic Investigator Supervisor. In those roles she gained extensive experience interviewing children about abuse and neglect as well as advocating for the safety and well being of children. Melissa has been an active member of the Multi-Disciplinary Team since moving to Catawba County in 2012 and now serves as the facilitator of that team. She has also worked closely with all of the local law enforcement agencies in the county and the district attorney’s office. Her prior experience gives Melissa a thorough understanding of the various systems children and their families can come into contact with after a disclosure of abuse has been made; and allows her to offer the specific information and manner of support each individual or family may need. Julia joined the CAPC staff in the summer of 2014. She is a certified pediatric nurse practitioner with a PhD in nursing education. Julia also teaches nursing at Western Carolina University. 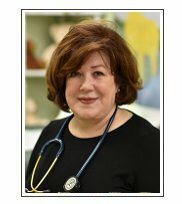 She has over 30 years of combined experience in pediatric nursing and nursing education. She is rostered by the State of North Carolina to perform child medical exams in cases of suspected sexual and physical abuse and neglect. Prior experience as Spanish Interpreter include Craven County Health Department, and Interfaith Refugee Ministries in New Bern, NC. Retired from an office environment related to insurance in the medical and dental fields, where I worked for 30 years for the same Corporation, starting in a secretarial position and retired in 2007 as Vice President of Operations. Relocated to New Bern, NC with my husband. After settling in New Bern, because of my combined knowledge of Spanish and Medical terms, I was referred as Spanish Interpreter to the Craven County Health Department and Interfaith Refugee Ministries where I worked for two years. When I became a widow, I moved to Hickory, NC, to be near my three adult children and two grandchildren, I then resumed working as Spanish Interpreter, working for CAPC for the past year.